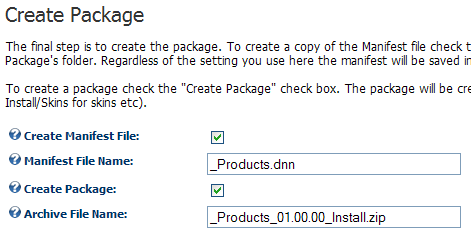 DotNetNuke 5 module development tutorial - part 7: Creating the installation packageWe finish the database uninstall script and create the DotNetNuke extension installation package. (VB) DNN 5 module development tutorial - part 3: The data layerWe examine the data layer and the data objects setup SQL script. (VB) DNN 5 module development tutorial - part 4: The view controlWe create the view control, run the database script and add the module to DotNetNuke. Thanks for all of the good info. If it was not for folks like you, folks like me would never learn anything. What DNN version should I use to follow this tutorial? Install or starter kit? Or does it matter. Thanks again. Please have a look at part 1 of this tutorial. I think you will find the answer there. Your tutorial is on the right place at the right time. I follow it step by step and everything works!!. I like your guide a lot. I will find and send some reward for you, soon. Very happy it gave you some guidance. I don't seem to find words to offer you for thanks. It was a really great series of articles, the one of a very few elaborate on dnn. Thank you for the post this was really helpful. How does one break into debug mode when trying to debug a module. How is this achieved?. Hopefully that can get you started. I have read a few books and other tutorials on how to create a DNN 5 module, and yours by far is the easiest and clearest to follow. To be honest, I was never able to get the modules that I tried to create following the above mentioned sources to work, and I was left feeling more confused than before I started. I was beginning to feel that the whole process was much more complicated than I thought. Wrong! I got your module to work on the very first run through of the tutorial. 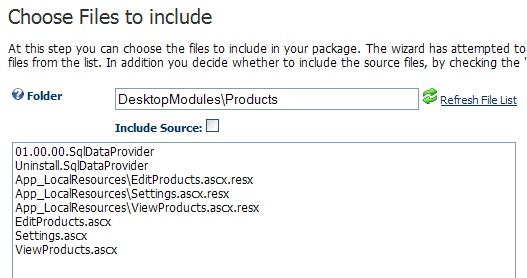 At first I was a little concerned as I only have Visual Web Developer 2010 Express edition installed on the PC I was using to follow along with. This turned out not to be a problem at all, as everything worked as describe from start to finish. I was a little confused on why we were performing some of the steps in the first few pages. However I did have a much better understanding of the project in the following pages. Just by getting the project to work, your tutorial definitely gave me the confidence I need to start work on my own module. In addition you were absolutely right; I am wondering what all the fuss was about. I can’t say thank you enough! You know those precious moments when you feel really great about something? I just had one of those now when I read your comment. Thanks for the detailed feedback. Also, thank you for confirming that you can use the express edition for this. Have a nice day and create a lot of exciting modules! Brilliant tutorial, I have learned so much. 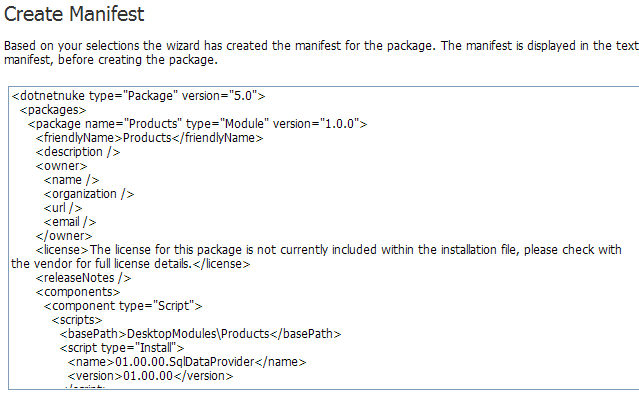 The edit module is only reacheable, when the user is allowed to edit the module. This also enables her/him to go to the settings. What should I do, when I need some user(s) to allow for editing, but not control any settings? What I did so far is making the editing link of the list only visible, when the user is in a special role, but then when approaching the edit control I get an error message that I'm not allowed to view the edit control.